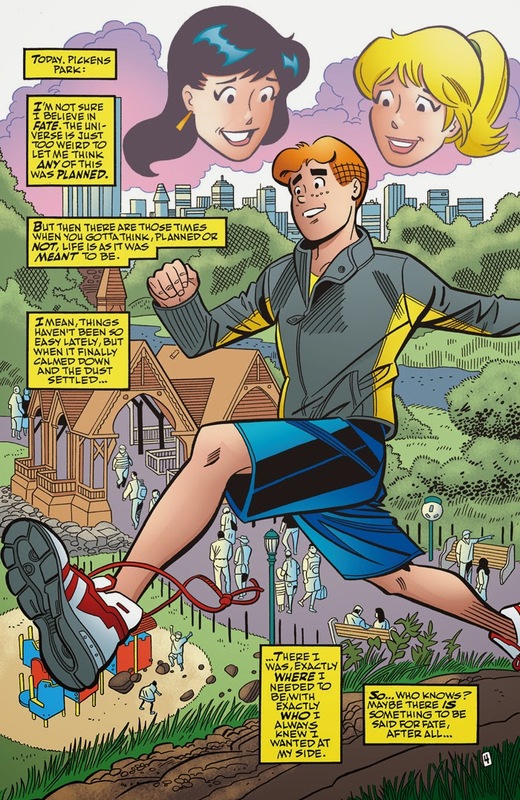 History is in the making in this epic finale to the acclaimed series LIFE WITH ARCHIE, as America’s most beloved character makes the ultimate sacrifice to save a friend. 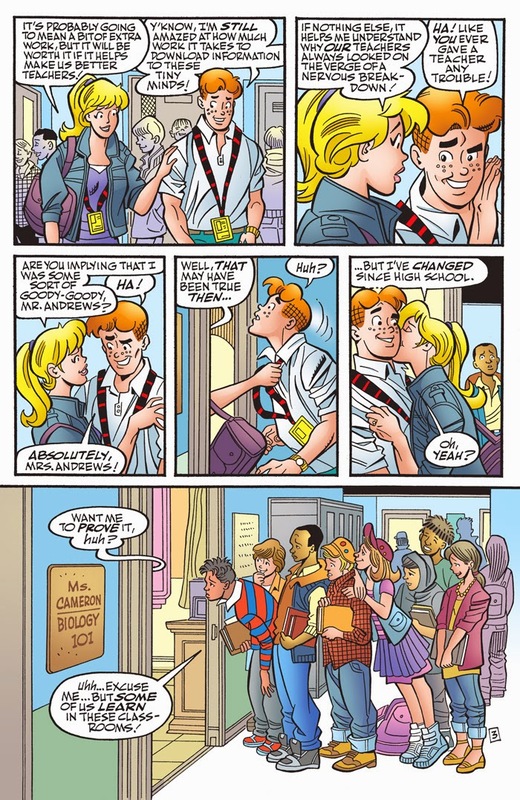 The unthinkable happens: Archie Andrews dies! 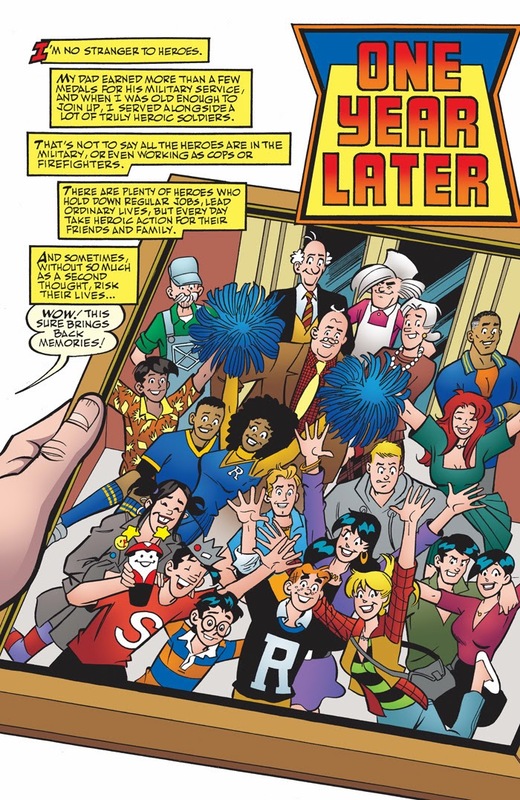 Fans will experience an epic tale of Archie’s future sure to make headlines, generate discussion and stand as one of the most-talked about Archie stories of all time. 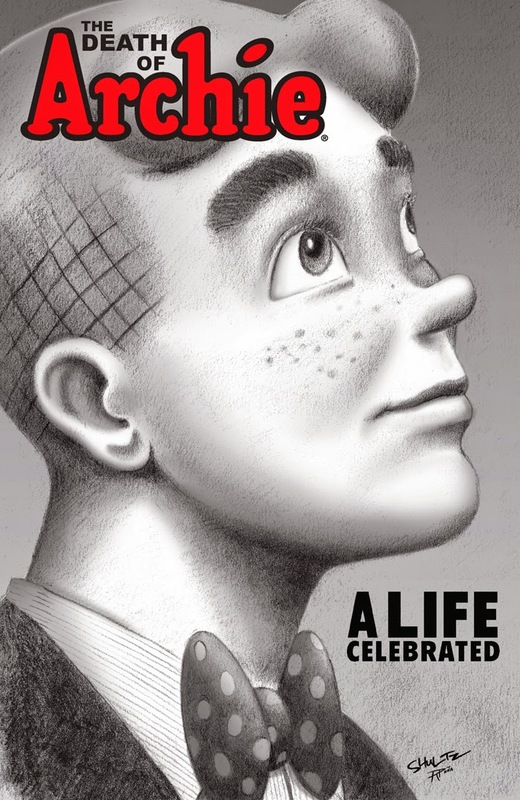 Do not miss this game-changing tale of love, friendship and true heroism. 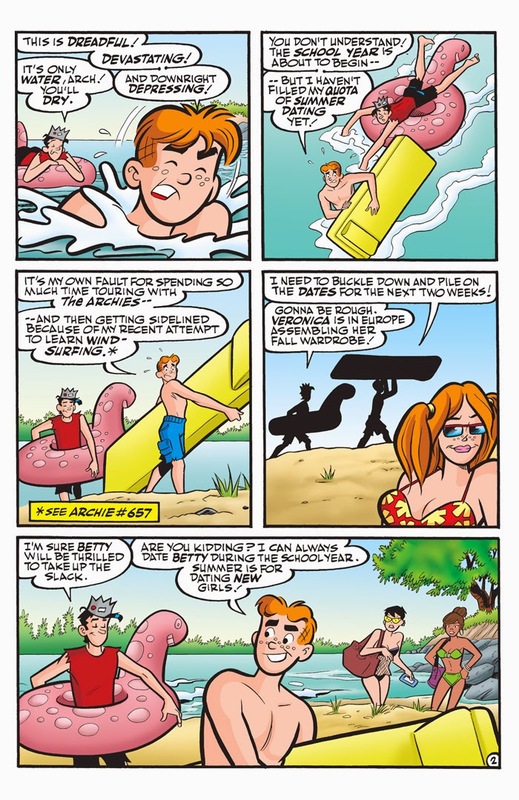 Summertime is quickly coming to an end and Archie realizes that he has not filled his quota of summer dating before the school year starts. 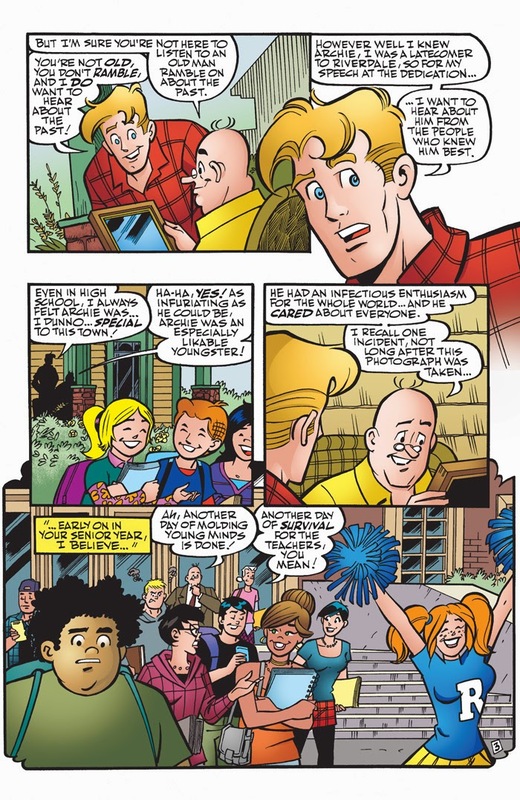 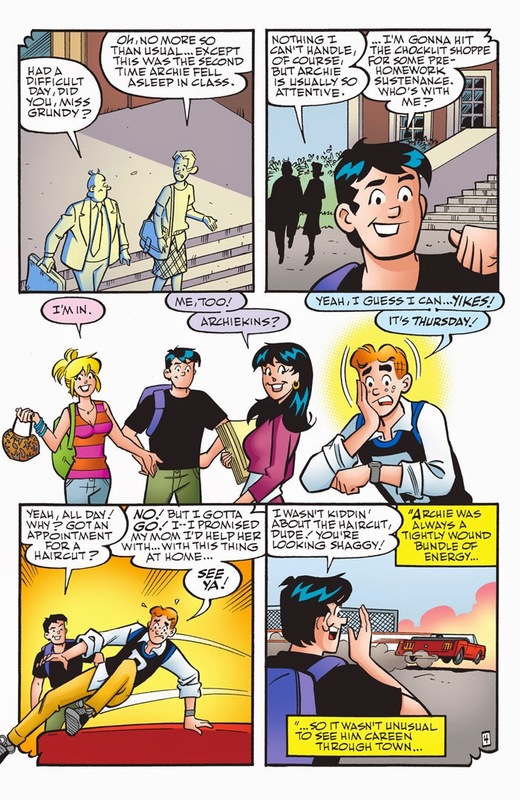 This leads to a number of rushed dates (with all different girls) with hilarity ensuing at every turn ... especially when the friends of Betty Cooper turn Archie's plan against him. 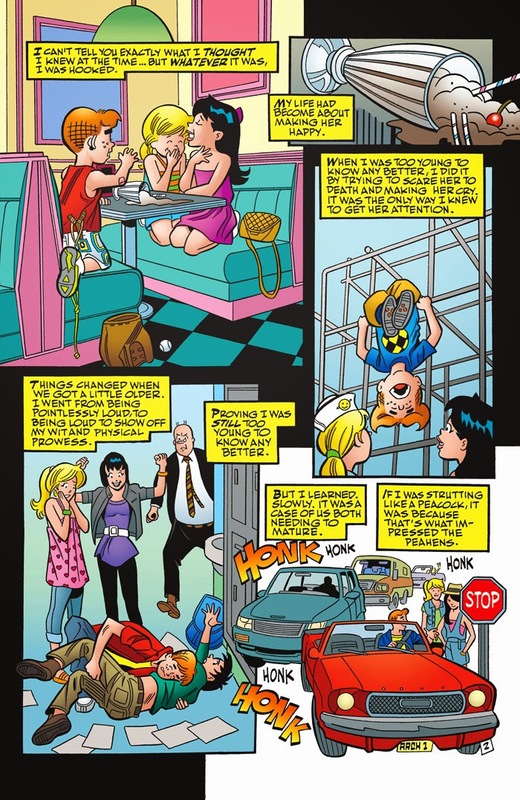 Guest-starring Ginger Snapp, Suzie, Linda Lake, Laurie Moore and Toni Topaz ... and Archie's dog Vegas! 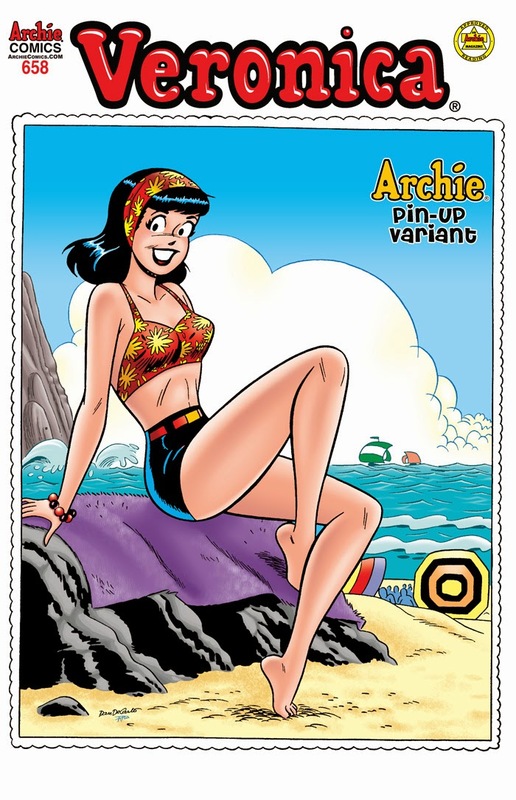 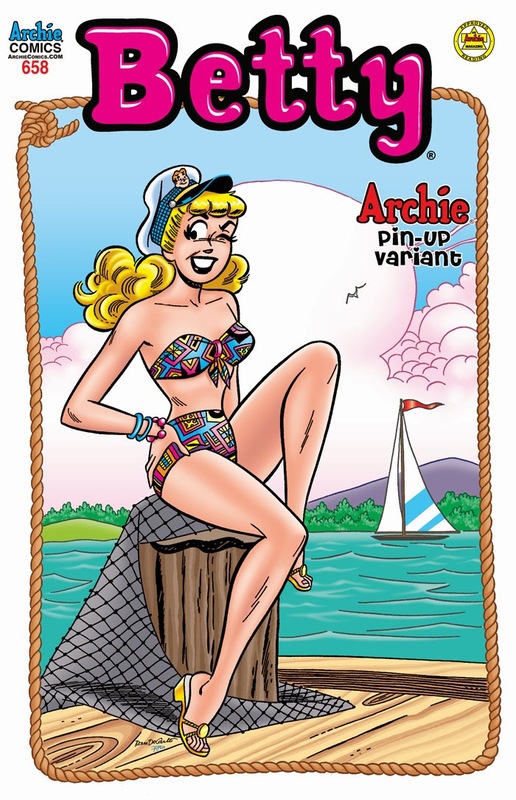 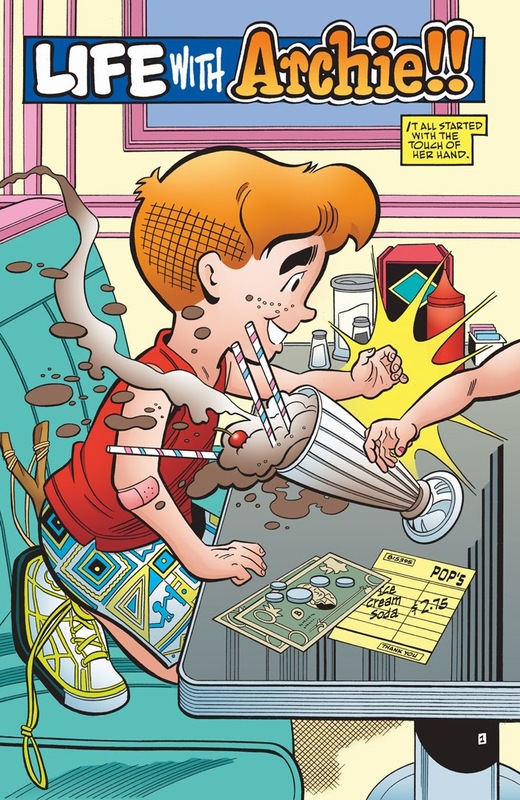 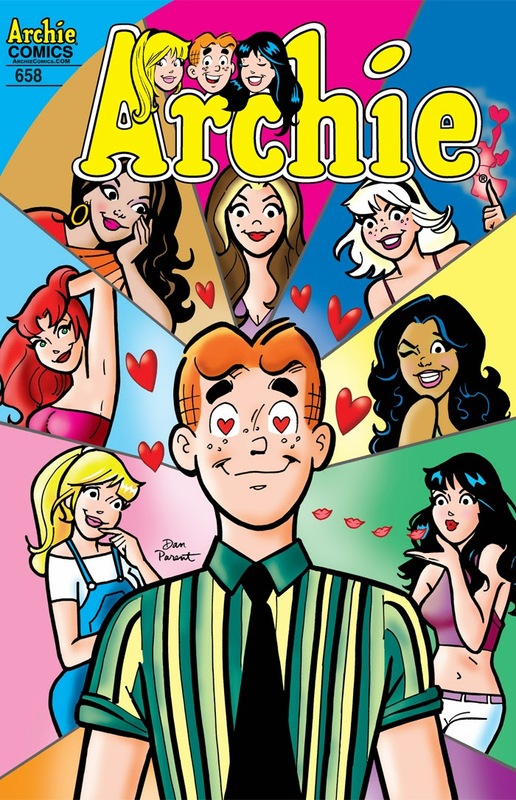 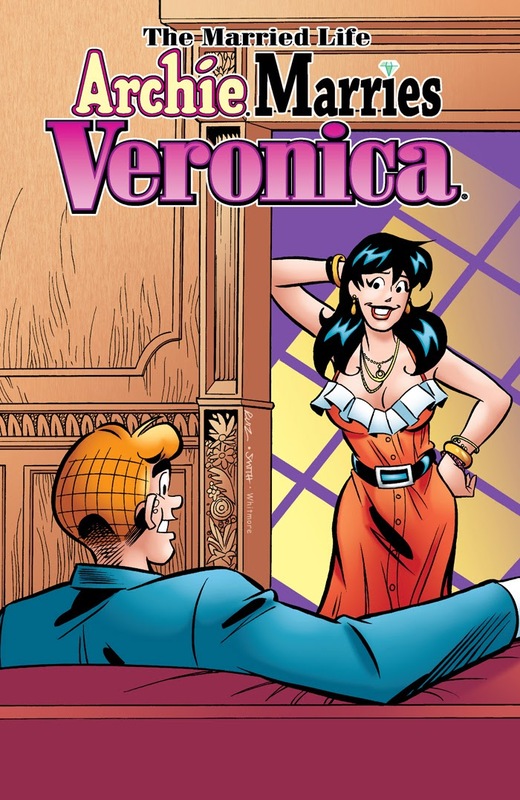 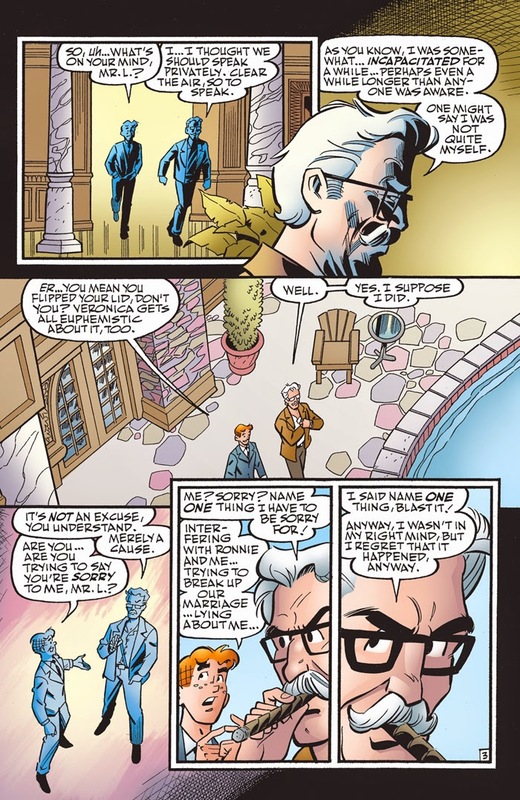 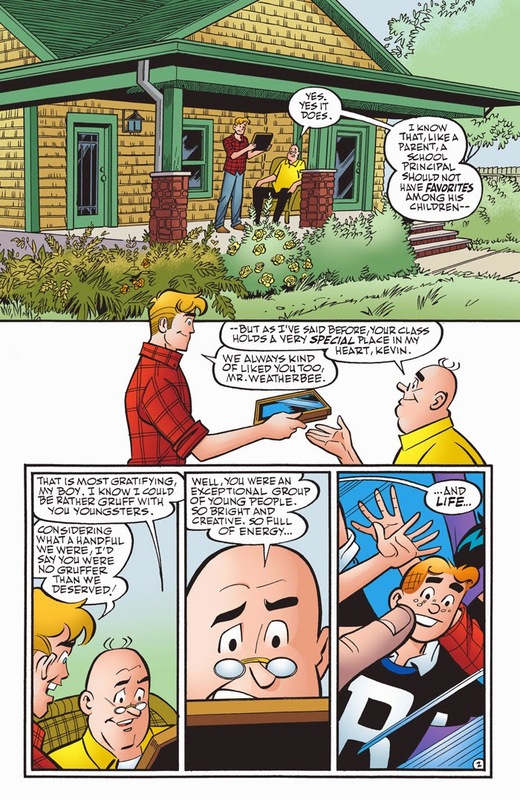 The fifth volume of Archie’s highly acclaimed graphic novel series features celebrated writer Paul Kupperberg’s tight-knit ongoing romantic storyline of Archie as a young newlywed in two very different universes—one where he marries wealthy socialite Veronica Lodge and the other where he marries girl-next-door Betty Cooper. 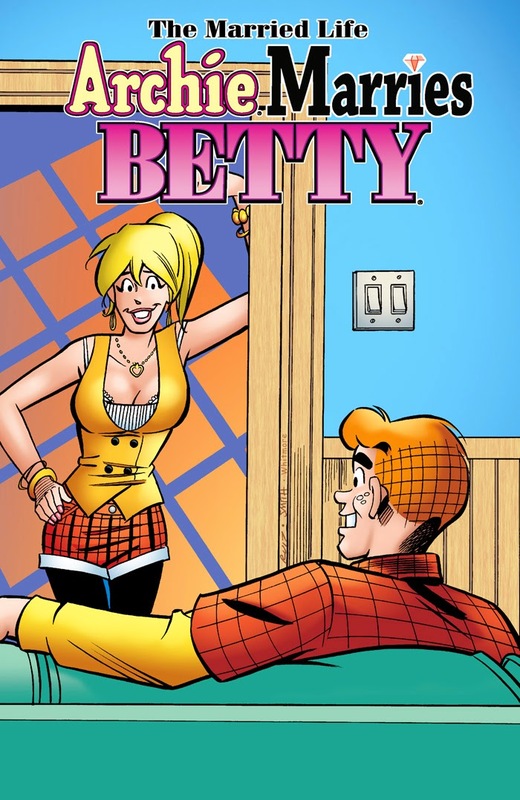 This volume follows Betty and Reggie’s time in the reality TV spotlight, where their every move is documented for all of America to see. 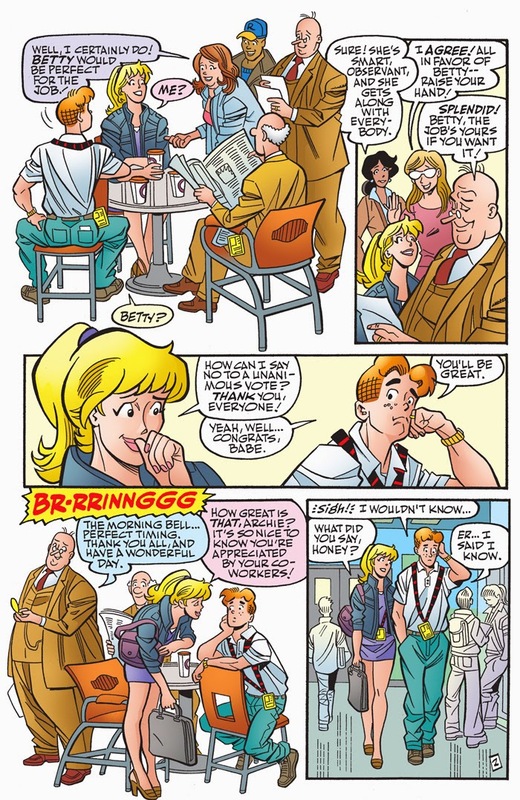 That kind of fame may be fine for attention-seeker Reggie, but will Betty be able to adapt to it? 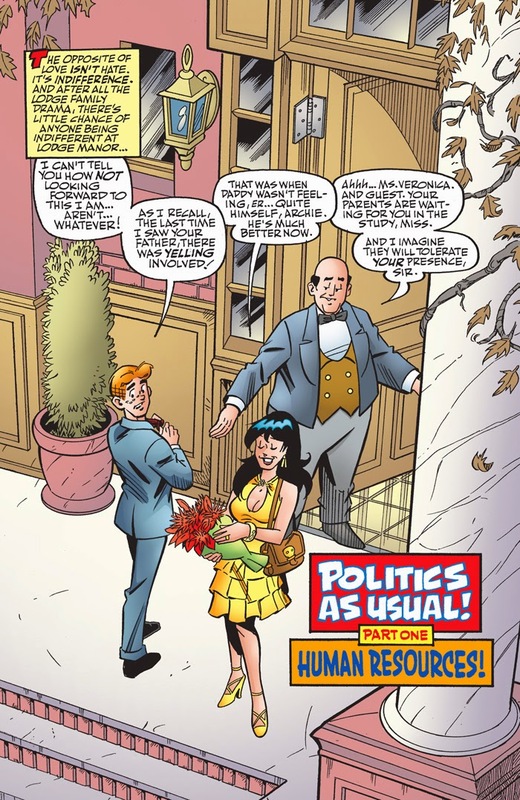 Meanwhile, Kevin sets his sights on the ambitious arena of politics while husband Clay recovers from his gunshot wound. 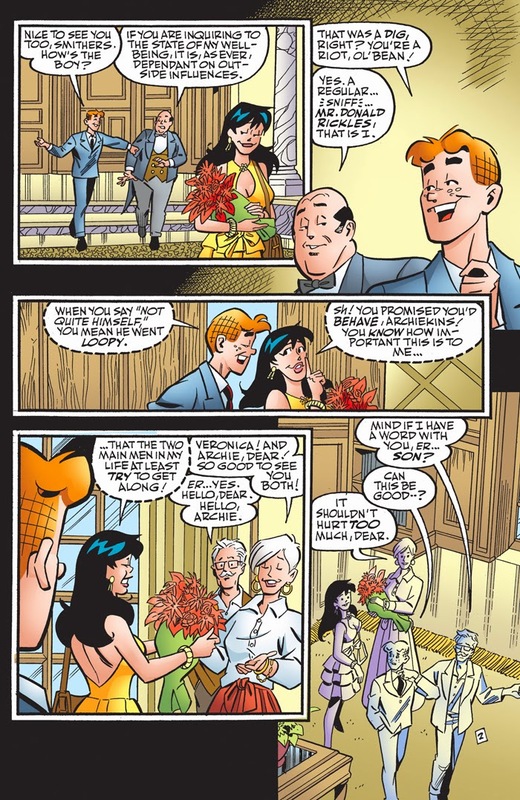 And Cheryl Blossom continues her fight against breast cancer, while also inspiring women struggling to do the same! 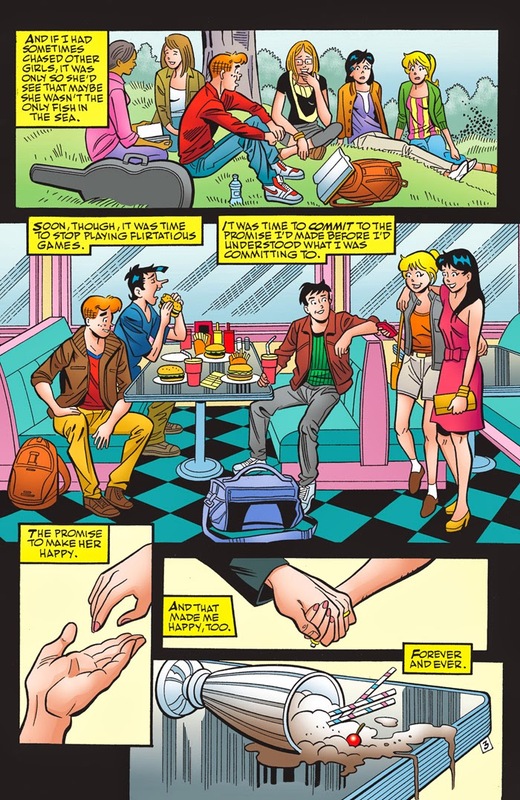 Plus all the romantic ups and downs that Riverdale is famous for! 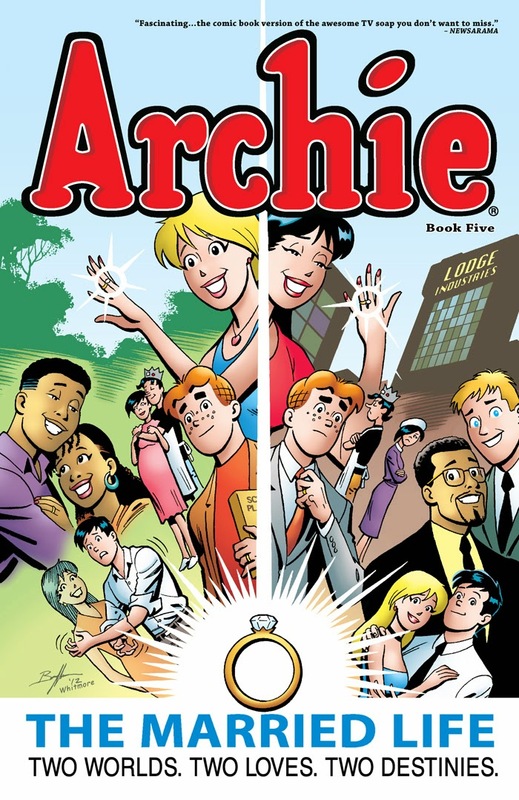 Archie: The Married Life Book 5 collects issues 25-30 of the Eisner-nominated Life With Archie magazine. 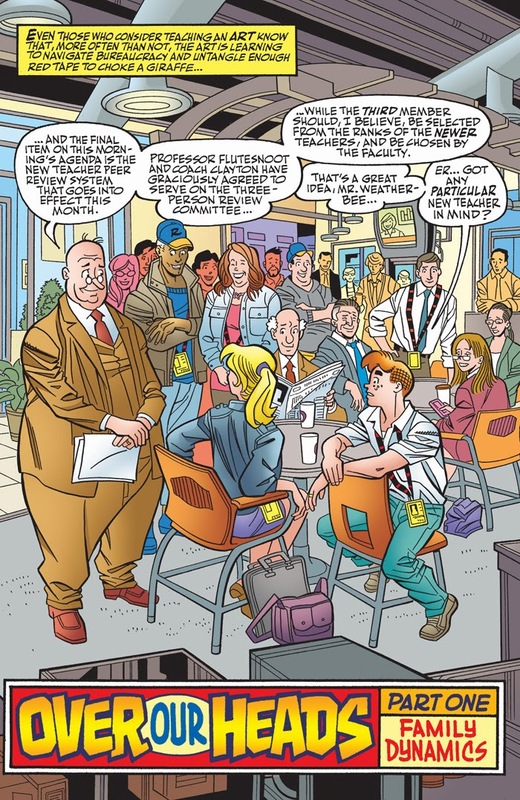 "The Great Chaos Caper" Part Four: This is it—the frantic finale full of flustered fighters! 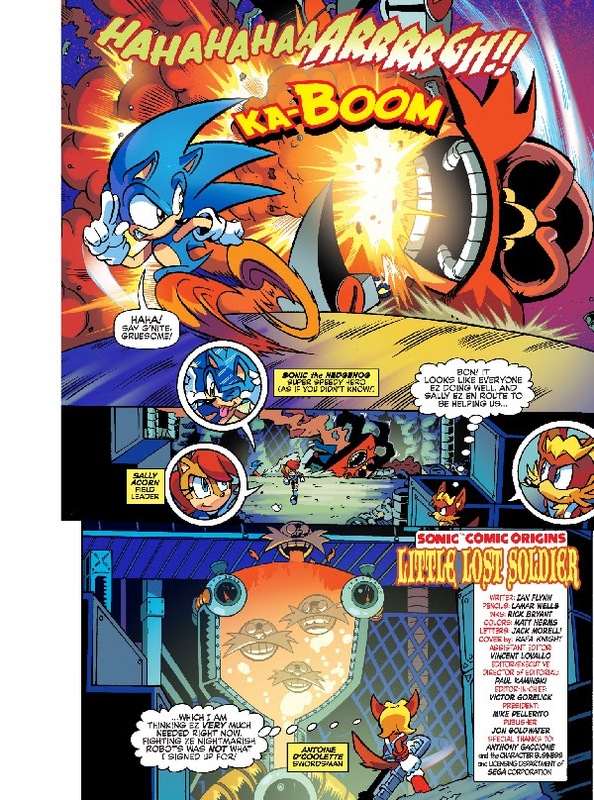 In one corner, trying to complete his mission and save the world, is Knuckles! 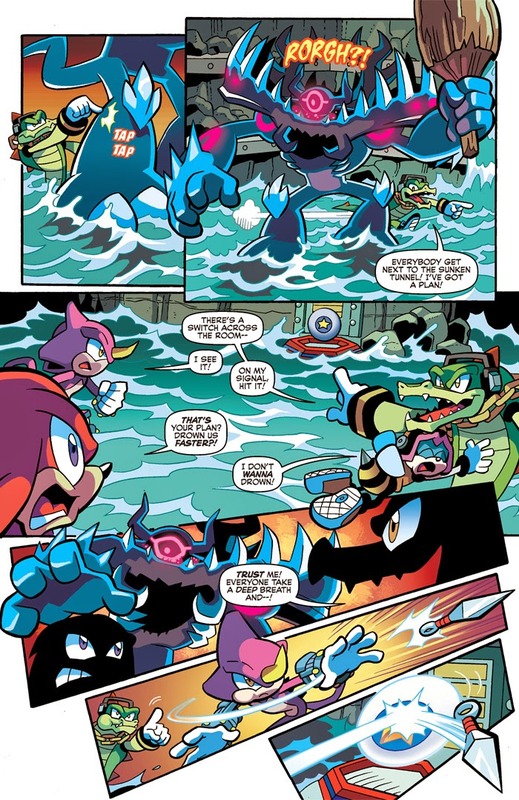 In the other corner, a titanic Dark Gaia beast! 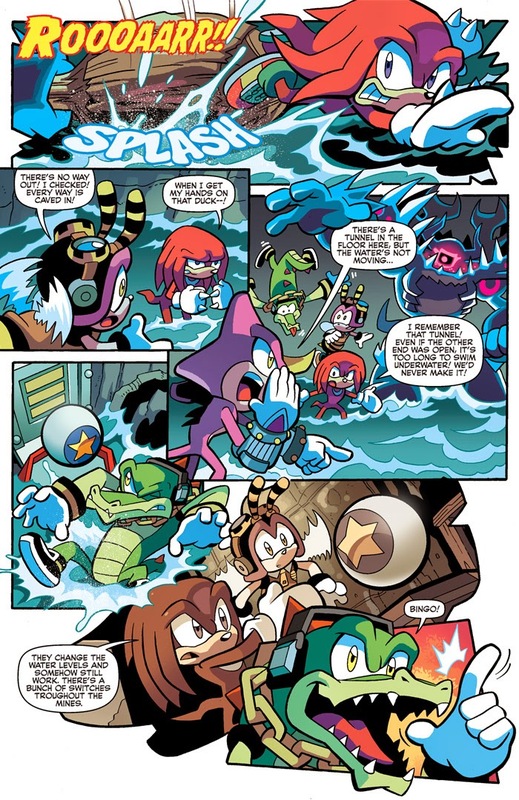 The Chaotix and Hooligans continue to tussle, a wounded spirit and Chaos Emerald are being tossed about, and the flood waters are pouring in! 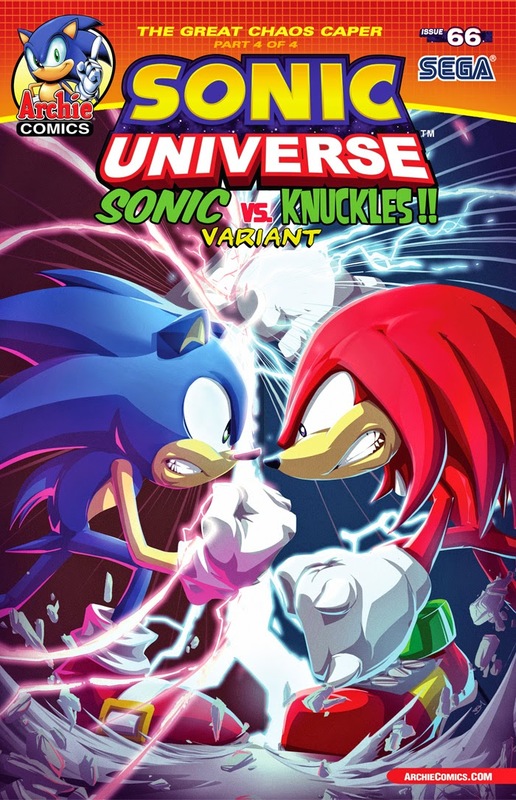 Don’t miss this crazy conclusion to the “Great Chaos Caper” featuring a Sonic vs. Knuckles variant cover from Brent McCarthy. 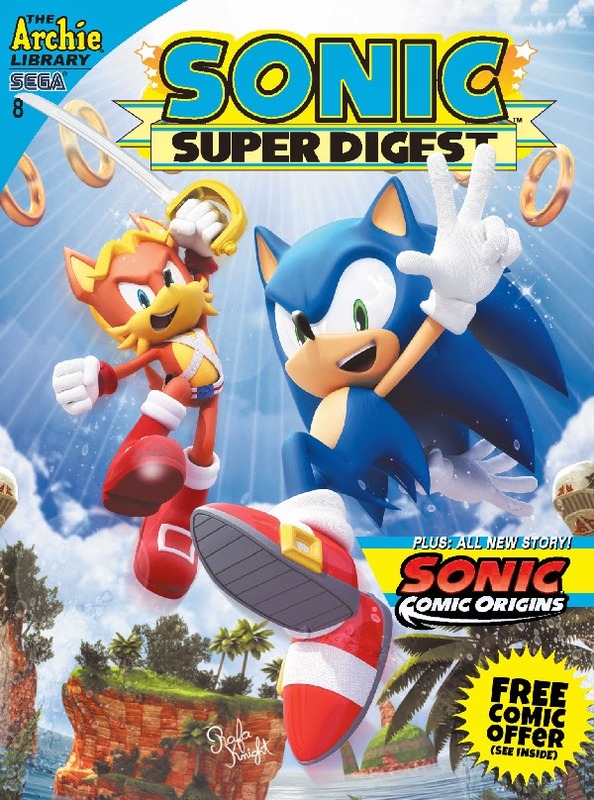 Sonic Super Digest returns with an ALL-NEW STORY continuing the hit SONIC COMIC ORIGINS mini-feature! 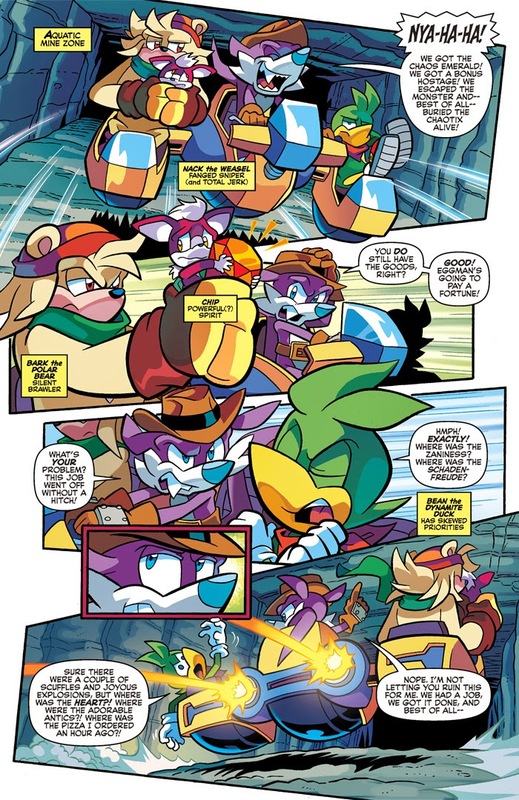 Sonic the Hedgehog has many friends, but few are as brave, stalwart or had as much growth as Antoine D’Coolette! 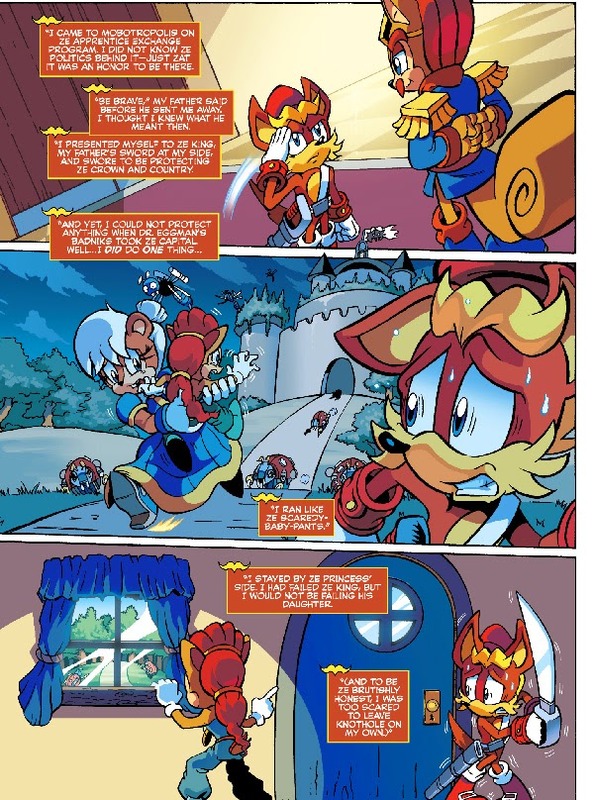 Learn how this skittish swordsman crossed paths with Sonic and the Freedom Fighters as only Sonic Super Digest can tell! 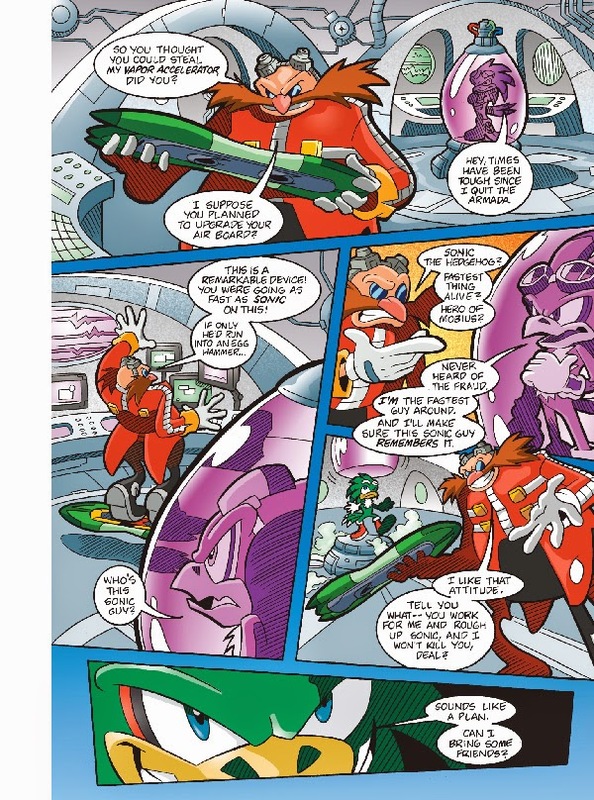 Then, continue the fun with more classic adventures from the Sonic comic library! 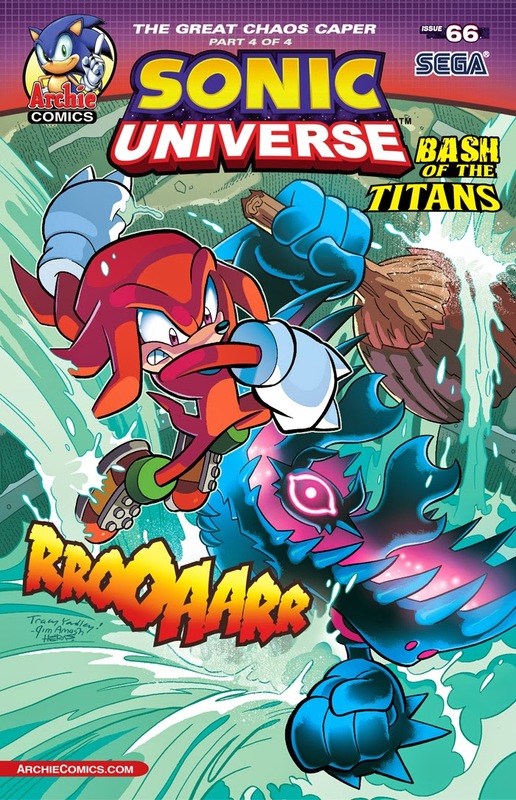 The new Sonic universe is full of wonder and excitement as only Archie Comics delivers! 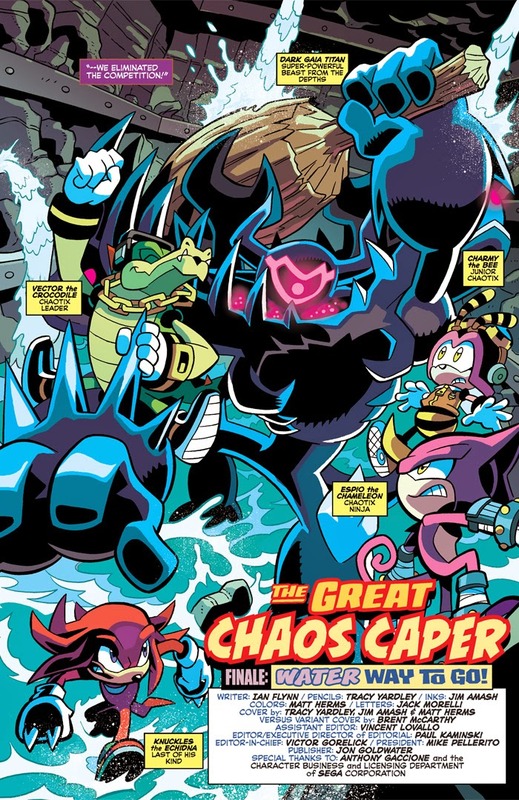 Featuring an all-new CG cover from Sonic comic superstar Rafa Knight!